Tap into a fresh new look and mix it up in the kitchen. Light grey, dust grey & graphite work perfectly in a matte finish to give a cool contemporary look. 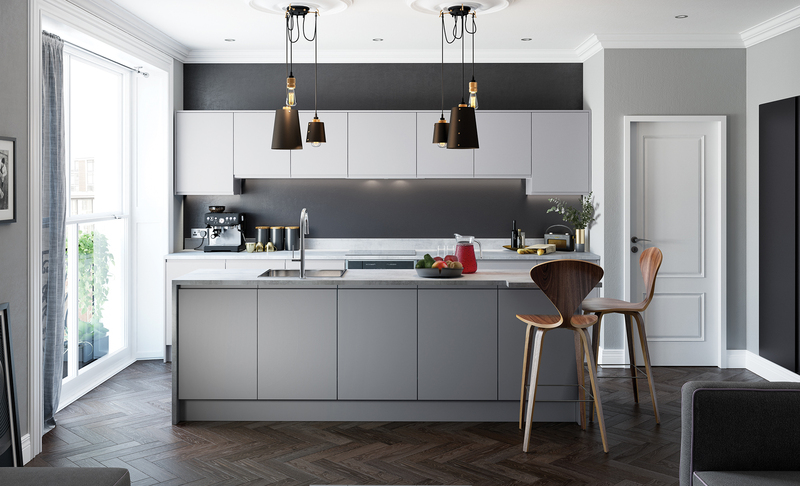 If you want to create a trendy, contemporary kitchen space, the Strada matte range is a perfect choice. It's handleless design and silky smooth finish oozes style and simplicity in this kitchen island unit. A concrete effect worktop perfectly captures the industrial trend and works beautifully with the contemporary feel of the Strada Matte kitchen.